Opening hours: Shops are usually open from Mondays to Fridays and close for siesta between 11.30 am and 1.30 pm. Shops are open at their own discretion on Sundays. Vanuatu’s incredible diversities from geography to culture bestow on travellers to this exotic destination a multitude of sightseeing options. 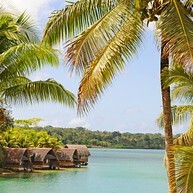 The outer islands offer the opportunity to really experience Vanuatu. 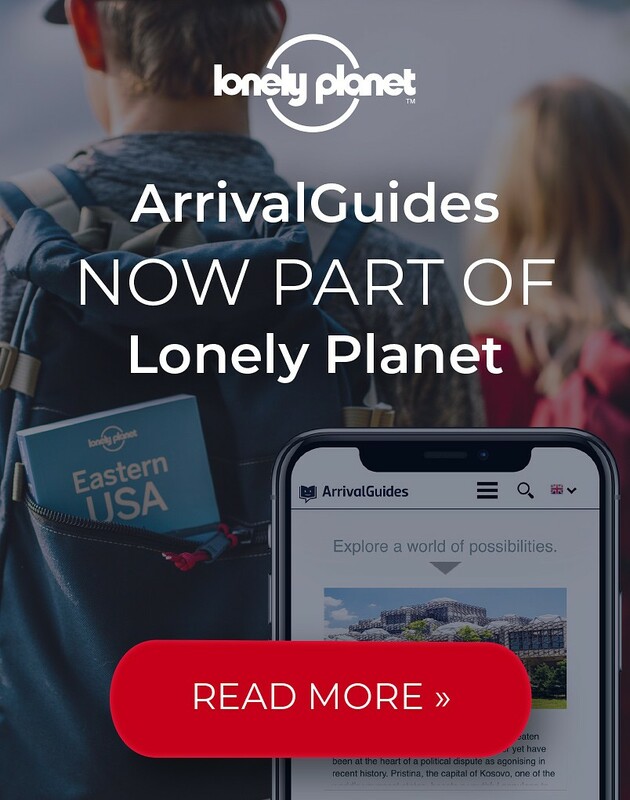 Each one has its own unique culture and attractions and the visitor will be richly rewarded with the variety of experiences they offer. 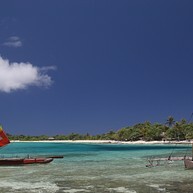 All around each and every stunning island is the backdrop of the glistening South Pacific Ocean. Discover the nation of Vanuatu – and be mindful of its bewitching spell which will lure you back again and again. 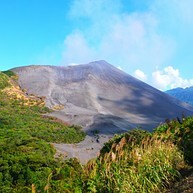 On Tanna you can visit Mt Yasur, one of the world’s most accessible active volcanoes. This is a truly an awesome “once in a lifetime” experience and should not be missed. Tanna also boasts a giant banyan tree, waterfalls, black sand beaches, horse riding and visits to fascinating cultural villages. Espiritu Santo, the largest island in the country and only an hour by plane from Port Vila, is unspoilt and popular for snorkelling, diving and its deserted beaches. There are also many World War II sites such as Million Dollar Point, where the Americans dumped all their hardware into the ocean after the war, crashed B17 bombers, the destroyer USS "Tucker" and Santo’s most famous attraction – the 22 000 ton liner turned troopship SS "President Coolidge" that sank and is now a magnet for divers from all over the world. The Coolidge offers the world’s largest accessible wreck diving and there are many other wreck and reef dives to excite even the most experienced divers. 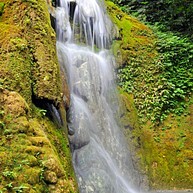 This waterfall is a spectacular place in the middle of nature. Pack your lunchbox, take a hike in the area and relax at the refreshingly cold stream. 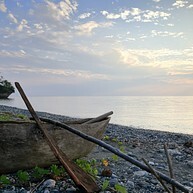 Lunganville on the South coast of Vanuatu holds numerous magic places for visitors. Adventurers will find the Millenium Cave especially interesting. You can explore the world hidden between rocks with a guided tour and meet curious creatures and plants on your way. Note that it can get a little rough so wear good shoes and be aware that physical fitness is required. Find the perfect get-away and swim in the azure water of the Blue Lagoon. Nestled between high trees and surrounded by beautiful nature you can enjoy and relax by the water. It is a fun experience for the whole family and a great place to take beautiful holiday pictures. Get a new perspective and climb the summit of Vanuatu. You not only get a great view but also several activities await you in the area. Visit the beautiful tropical gardens, drop by at the essential oil distillery and take home a souvenir at the gift shop. This is a place to remember. 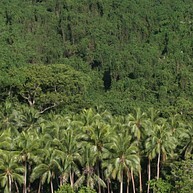 Malekula is the second largest island on Vanuatu and is known as the island of custom. The island is also the most diverse, culturally and linguistically, with over thirty distinct languages spoken. Main cultural groups here are Small Nambas and Big Nambas and the villagers are very friendly and are more than happy to share their proud cultural heritage with visitors. 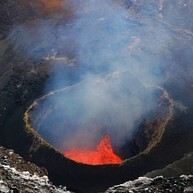 Ambrym, with its twin volcanoes, is considered the sorcery centre of Vanuatu. 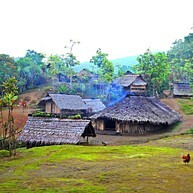 Ambrym offers many opportunities for trekking between villages and to see the volcanoes up close. On Efate, start with a visit to the excellent National Museum of Vanuatu and then head for the markets in Port Vila. Take time to visit some of the smaller offshore islands. At Hideaway, take to the water and view the brilliant corals while depositing a postcard at the world’s only underwater post office. Other offshore islands provide opportunities for snorkeling, diving, turtle feeding, fishing and village visits. Head a short distance out of Port Vila to experience the Mele Cascades waterfalls, the Secret Gardens, horse riding, abseiling and cultural village visits. During the annual festival Back to My Roots Festival your can enjoy a whole week of activities, including a performance of the mysterious Rom dance. North Ambrym is famous for its wood carvings which are deemed to be some of the best in the South Pacific.